Pasta in the form in which we are used to see them known from the XIII century. Since then, the remain pasta dish that love to cook and serve in different countries of the world. To properly cook pasta is not difficult, but knowing a few secrets, the pasta will turn out really tasty. 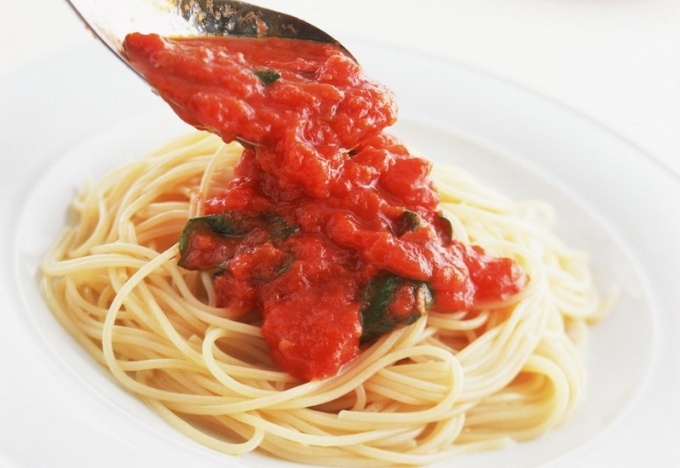 As you know, pasta, a variety of different types and forms, and what to choose for cooking, it depends on you. But no matter what pasta you choose, the method of cooking remains unchanged. Take a large enough saucepan on the basis of per 100 g of pasta at least 1000 ml of water. For serving, as a rule, sufficient 100 g of pasta, and let it not seem a little, because when cooked, they will double. Pour in a pan of water, bring to the boil, cover with a lid and wait until the water boils. Once the water is boiling, add a pinch of salt and put the pasta in the water. If you're cooking long pasta, and wish to maintain their length, immerse them in water gradually when immersed in water they will become soft and will bend. Stir pasta until water boils again – it won't take a couple of minutes. Make a fire easy, and let the pasta cook. For cooking pasta it usually takes 8 to 15 minutes, depending on the variety and your taste preferences – all love different pasta: someone more solid, someone softer. But in any case not to overcook the pasta – they turn to mush. To properly cook pasta, often try them on readiness, starting as early as 7-8 minutes – so you don't allow them to digest. Ready pasta should be rigid and have a mealy taste. After you make sure the pasta is ready, remove the pan from the heat and pour its contents into the prepared colander to drain unnecessary water now. Drain all the water, put the pasta back in the pot and add 20-60 grams of butter, so they don't stick together in the pan. Oil can be replaced with a previously prepared sauce all depends on your taste and what you're going to eat cooked pasta.